Gambler single wide rolling papers in single sheet unfolded form have 36 cigarette papers per booklet. 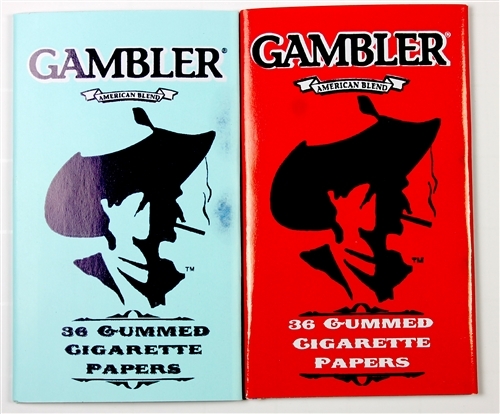 Gambler rolling papers are perforated along one side just like Top Rolling Papers. The booklet covers themselves are made of thick paper as opposed to cardboard and can easily be manipulated or bent to go anywhere. 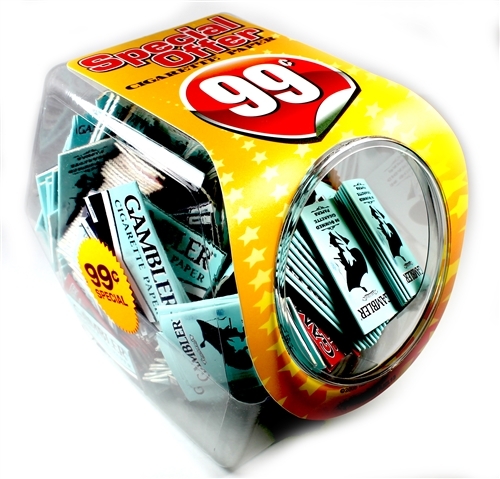 Each Gambler jar contains 144 booklets and the jar is pre-priced at $0.99 but they can be sold for $0.59 for a quick sale and a 50% mark-up.